i just notice he got a blog and suddenly i got this urge to write also. 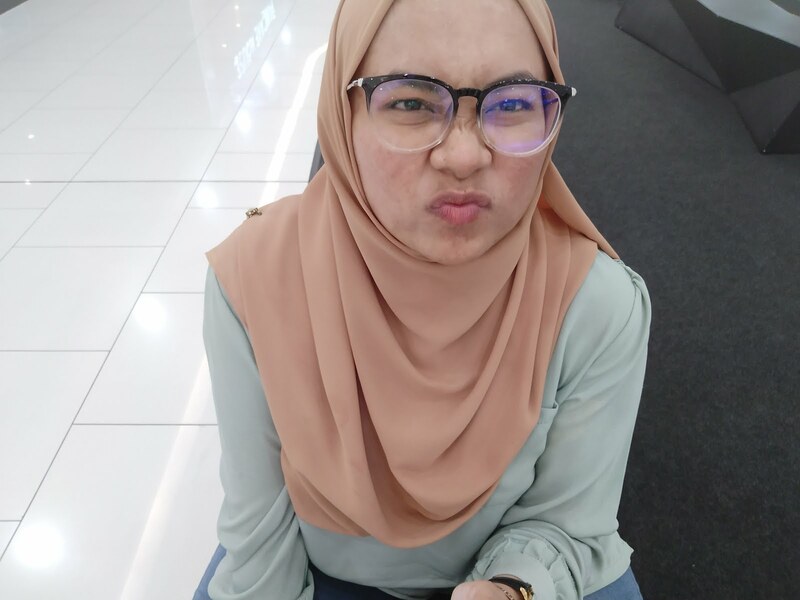 i'm craziiihhhhh..
it have been quite sometime for me not to be posting here although i love it very much to be able to express tonnes of entahmenatangapatah here. Too busy. Like very busy. Very busy. and i am not busy STUDYING. i'm suppose too study now but since these few weeks was very hectic with program and assignment and LAB REPORT (it is in capital lock because i love doing lab report but i hate how it stressed me out. roller coaster of emotion.) and when i'm finally free, well, not so free, but free-lah, I'm like don't know how to study. This is bad. Very bad. So, I want to share new stuff i learned from this wonderfully packed with all sort of thing in this few weeks although studying itself have took my life for it. I learned to smile and laugh at stress. yes stress! u can't do me no harm, i am immune to you! this actually come from positive mind and mostly from non-stop believing to Allah SWT. Allah SWT always help and never give us somethig we can't handle. Then from this mind, I never let my mood to be destroyed by stress. it just plain stupid. I start to really implement on not having bad impression on anyone, and subhanallah! how it make me change my view to everyone just make me happier. Husnuzon. I am practicing to stop ghibah and keep my big mouth sealed! InsyaAllah i will nail it! I love on how i start to really count up this so called small things and be really happy when i see myself improve litle by litle. lastly, at least for today, I learned to make steps to have nice relationship with my friends. I try to be close and be together. Practicing good ukhwah. This is ur sister.. Ur biological 2nd sister.. Ur 'stress u cant do me no harm' meaning it can do you harm.. Sya bce blog anda.. Segan skarg..